O’Brien Watersports of Snoqualmie, Wash., is recalling about 4,200 sets of Performer Pro Combo water skis sold in the U.S. and Canada. The skis can detach from the binding during a fall, allowing the ski to break, posing an injury hazard to the user. The firm has received three reports of leg injuries from skis breaking or bindings pulling off the ski during falls while slalom skiing. This recall involves O’Brien Performer Pro Combo Skis that have a binding mounted to a plastic plate that is then mounted on the ski top. The skis were equipped with O’Brien’s X9 or Avid bindings, printed on the bindings, and an aluminum fin. 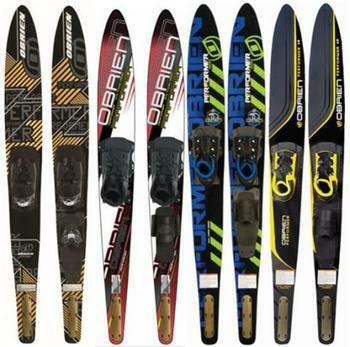 O’Brien’s Performer Combo Skis, which are equipped with a plastic fin and O’Brien’s “X8” binding, are unaffected by this recall. The skis, manufactured in Taiwan and China, were sold at Overton’s and other watersports and sporting goods stores nationwide and online at Amazon.com from January 2011, to April 2018, for about $300. Consumer may contact O’Brien Watersports at 800-662-7436 from 8 a.m. to 4 p.m. PT, Monday through Friday or online at https://obrien.com and click on Recall for more information.